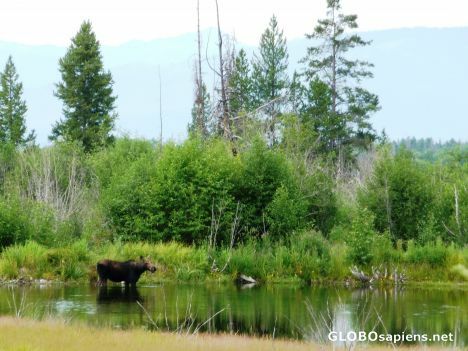 Both Graand Teton and Yellowstone Parks are teeming with wildlife. We saw bears, elk, marmots, moose, and deer daily. Here a female moose was drinking water in the early morning.